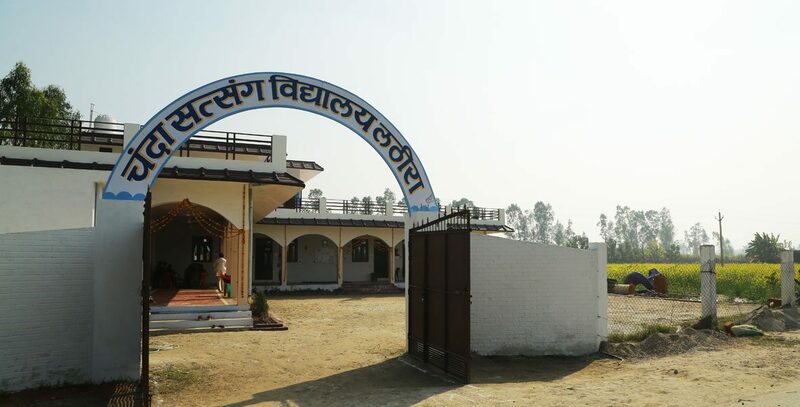 The Chanda Satsang Vidyalaya in Lathira, Uttar Pradesh was set up by the Delhi Kendra in 2017, under the guidance of Sri M and the generous support of Drs. Anil and (Late) Chanda Seth. Inaugurated by Sri M on 30 June 2017, the Chanda Satsang Vidyalaya s situated in the pastoral environs on the banks of the Ganga in Amroha district – serving five small villages in the vicinity populated by daily wagers and farm workers. While the environs are serene, social indicators of health, sanitation, standards of living, and education leave much to be desired. The Chanda Satsang Vidyalaya provides free education, nutritious mid-day meals, and uniforms to 65 children in primary classes. 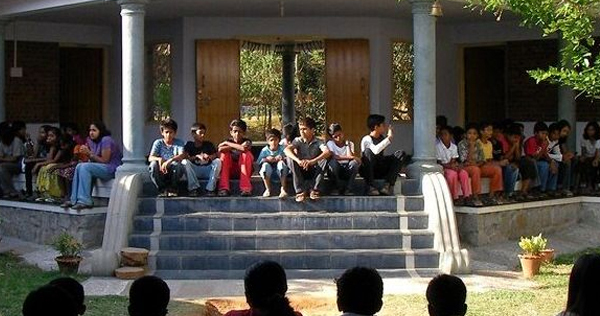 A Learning Centre, serving as a bridge school, benefits 13 children transitioning to join the primary classes. The Chanda Satsang Vidyalaya’s educational focus is on developing creativity, sensitivity, and life skills in a tranquil and blissful environment -enabling the children to grow into responsible, informed and creative citizens of India. The teaching staff and aides, supported by Satsang Foundation volunteers, help make learning fun for the enthusiastic children. Tree Plantation: Sensitization of children and adults through organic farming and sustainable eco-systems, in association with the MyTree initiative of the Satsang Foundation. 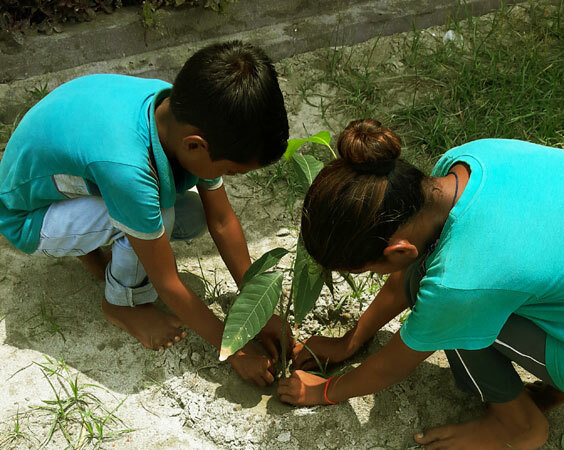 Under this initiative, the children have planted fruit trees of their choice around the periphery of the Vidyalaya. Parent Teacher Meetings: Parents are regularly invited for interaction at the Vidyalaya to familiarise themselves with their child’s work. Health Checkups: A volunteer Doctor conducts periodic health checkups every quarter, while an eye camp is held in association with Dr. Seth’s Foundation, HEALTH. Children are also provided training in hygiene practices and administered preventive medication. Celebration & Festivals: Important festivals, including national ones like Independence Day, Teachers Day and Gandhi Jayanti, are celebrated at the Vidyalaya with cultural programs and creative activities. Sri M’s vision is to see the Vidyalaya expand its footprint till the 10th grade. Visits and contributions by donors and volunteers to Chanda Satsang Vidyalaya have powered its growth from a nursery to a primary school. With support from Satsang friends,the Vidyalaya plans to extend its facilities to a middle school level and further in the coming years.